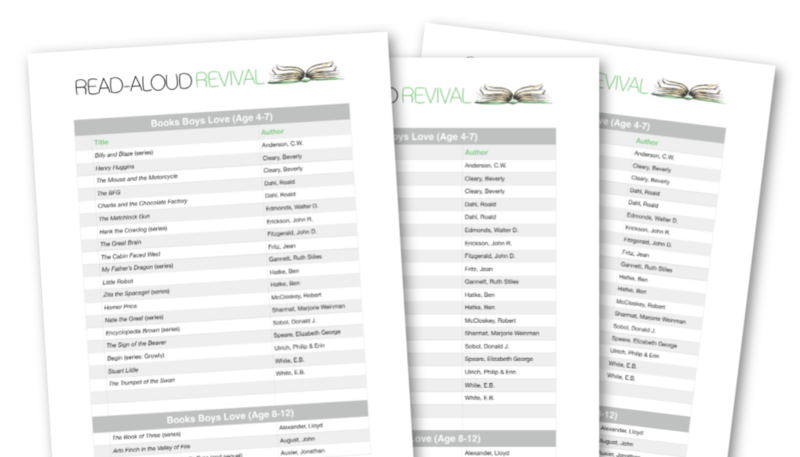 If you are unsure which books being published today are worth your time (or if they’re worth your time at all)… then this brand new episode of the Read-Aloud Revival podcast- all about some of the best books by living authors- is for you. We’re launching season 10 of the Read-Aloud Revival podcast with an episode dedicated to books that I’m confident can stand up with the classics, and that are every bit as good as your old favorites. Over the last few years, I’ve noticed something rather curious: I hear quite often from those who feel that old books are pretty much always better than new ones. They talk about the literary giants like C.S. Lewis, E. Nesbit, Elizabeth Enright, and J.R.R. Tolkien as though we will never see another literary genius like them again. As though one had to be born in a certain era in order to write books as profound and beautiful as theirs. I’ve got an Opinion with a capital “O” about this, because friends- tomorrow’s classics are being written today. If you’re ignoring the best modern children’s books (and their authors), then you’re missing out on a lot of wonderful stories. You’re also missing the opportunity to support and cheer on writers and illustrators who are making beautiful books for our kids right now- who are putting wonderful work into a world that desperately needs it. Have a seat, sister. I’ve got some books to tell you about! Get our picture book recommendations.